ClickGoWeb’s Android specialist team has been doing impressive work by building mobile applications based on Android- the new mobile Operating System. We’ve built amazing communication applications, restaurant, office, and business (productivity) applications, multimedia applications, travel applications, internet applications and mobile workflow-based applications. We understand that Android is the fastest growing mobile platform, due to which the demand for Android app development is steadily increasing. 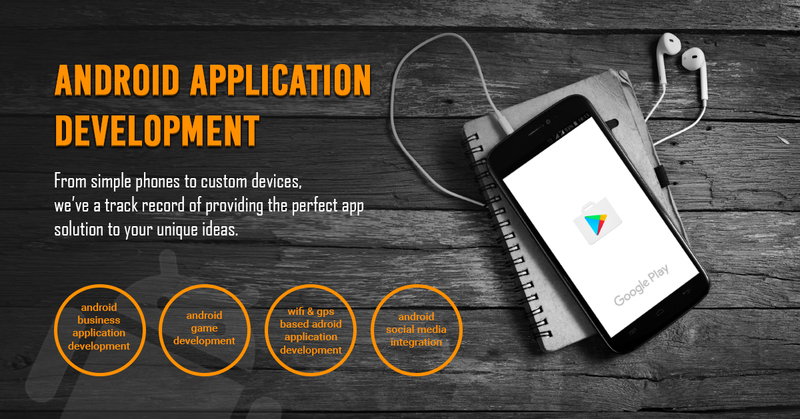 At ClickGoWeb our objective is to create state-of-the-art android apps and enterprise wide android applications by combining skills with sheer passion.. Our team is having the requisite tools and best infrastructure to create, test and top apps. Android is the framework built by Open Handset Alliance & Google Inc. Android is an operating system as well as software platform. Our android app developers have expertise in developing applications for mobile and tablet device, testing in a relevant simulator.